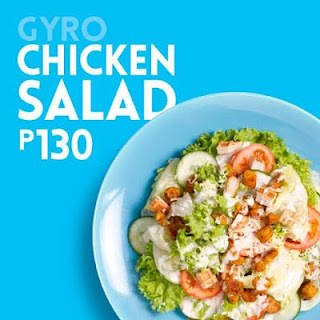 Gyro V is a Greek-inspired fast food concept that specializes in fusion kebab sandwich made from 100% pure beef and chicken fillet. It offers easy grab-and-go meals that are filling. 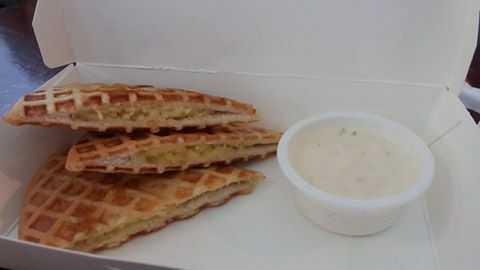 Gyro V's secret white sauce and its distinct pocket bread puts it ahead of its competitors. 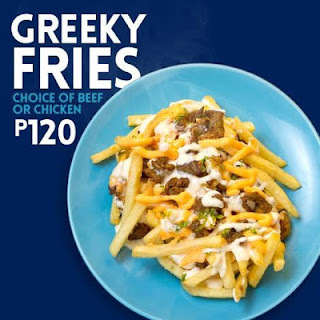 They offer quality food from P 80, which gives the best value for money. 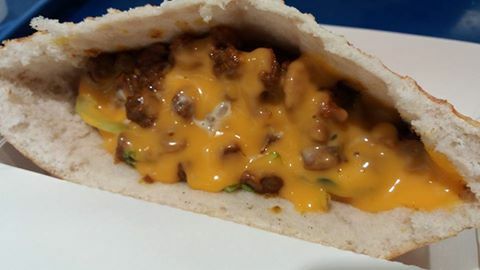 Cheese quesadillas is served straight up with no frills. 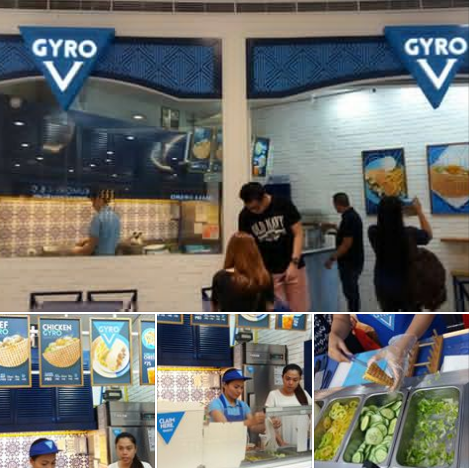 Gyro V recreates the gyros in Greece. and this pita is perfect for adventurous foodies like myself. I am used to the tradtional soft Greek pitas without a pocket (once cooked golden both sides, but I like the crunchy twist that Gyro V bread offers. A serving is filled with tzatziki, greens, cucumber and seasoned strips of chicken or beef. I opted for beef gyro. 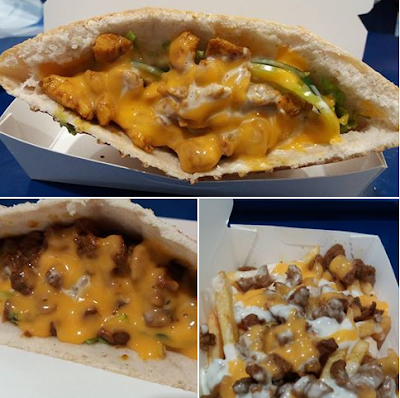 The beef gyro had the curry taste which combines well with yogurt. The cucumbers have a lot of moisture in them and it made the sauce runny. If you don't want to get your hands messy, ask the sause to be served on the side. If you are a fan of French Fries, you can taste the same chicken or beef gyro goodness with their spectacular fries! They use the same spices on a hefty serving! McDonald's fries will pale in comparison to these!